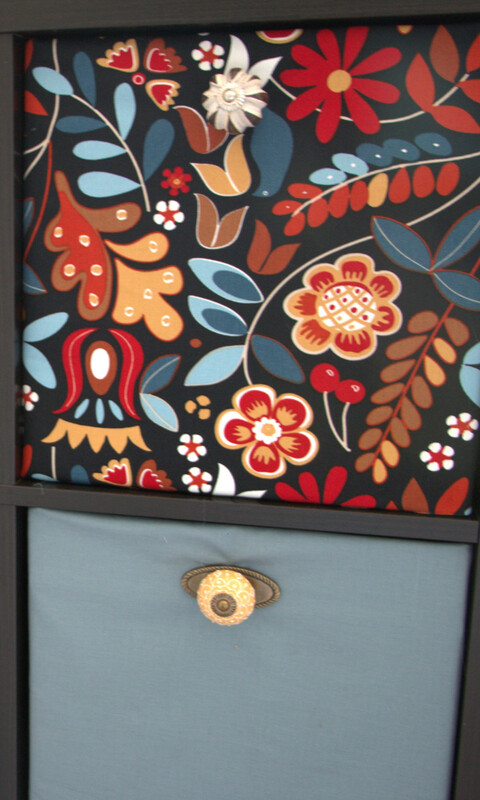 In addition, you can get a few vintage drawer knobs for an even more unique look. Another perk – these cheap and easy storage ideas can be completed in less than an hour. 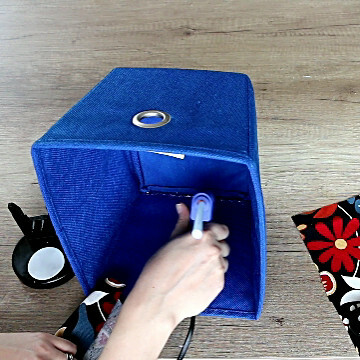 Below are a few easy steps for covering these storage boxes with fabric. 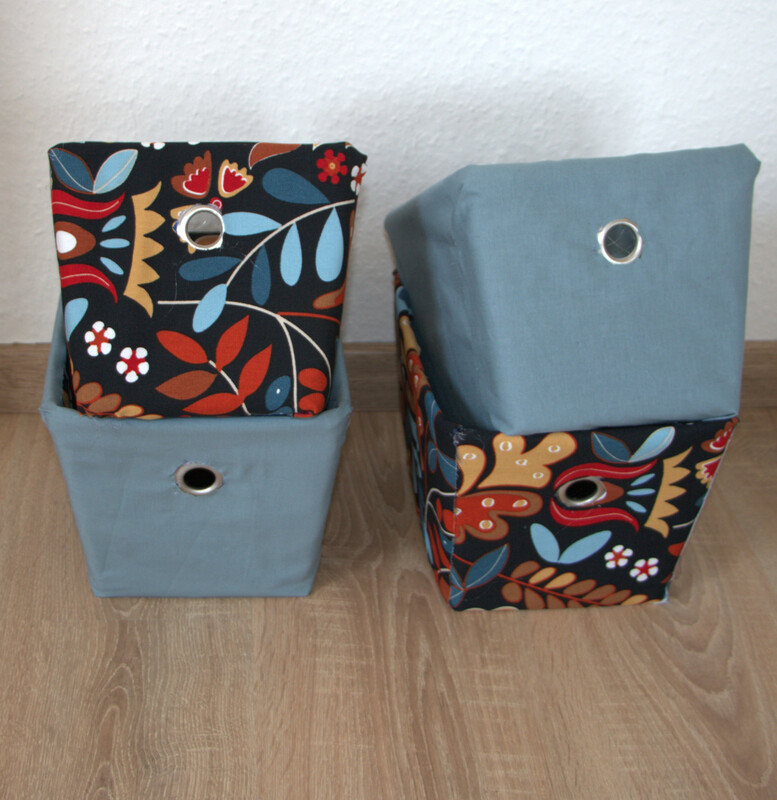 I started by refreshing 4 small cheap bins, perfect for bathroom storage. After about an year of living with their original color that hardly matches anything I own, they were first in line for a DIY upstyling. 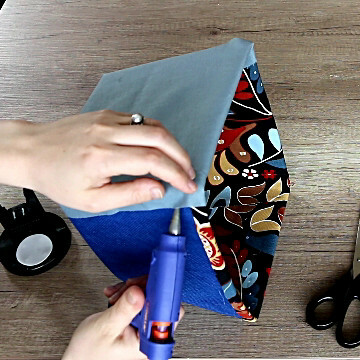 The first step for upstyling these storage boxes is cutting 9 pieces of fabric – 4 for the shorter sides, 4 for the longer sides, and 1 for the bottom of the box. 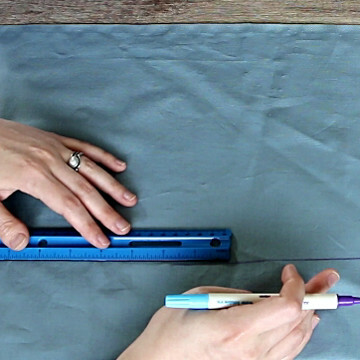 You can use a vanishing marker to get straight cuts. To get the dimensions, measure the sides of the box and add about an inch to each dimension since you would want some overlap. 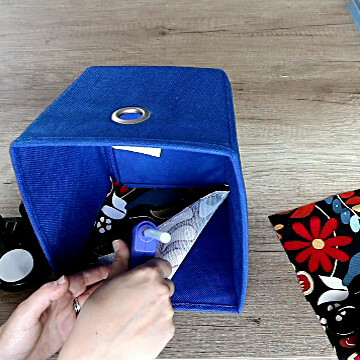 Start gluing the fabric pieces on the inside of the box. 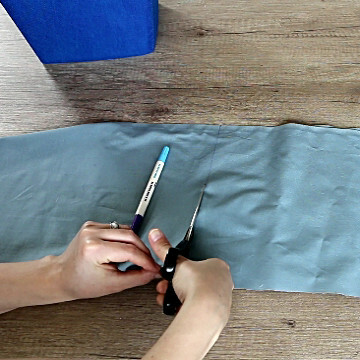 As you place the piece of fabric on top of the side, cut any excess fabric if necessary. 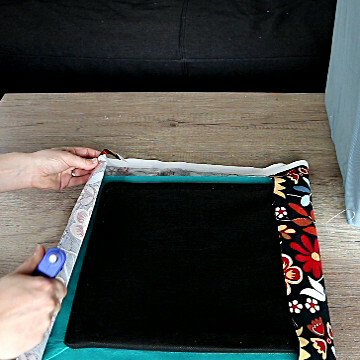 Apply the hot glue along the bottom of the side and place the fabric on top of the glue. 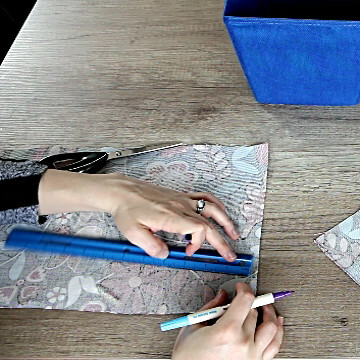 Next, apply glue on the 3 edges of the fabric and glue them on the box. 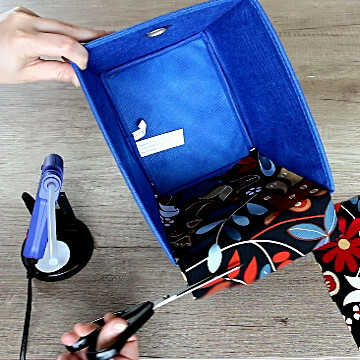 Once the inside of the storage box is covered, glue the rest of the fabric pieces. The piece at the front of the box should be glued last. 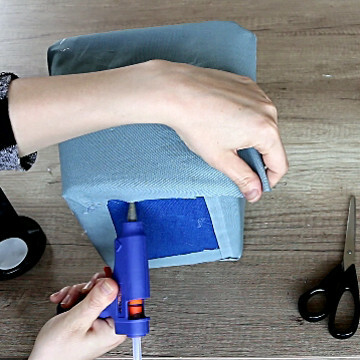 If the box has a hole, cut the fabric around it and glue the edges. Shelves with bins have become increasingly popular bedroom storage option and for a good reason – you can very easily overfill them with clothes! However, the color options are limited and some of the fancier materials are crazy expensive. 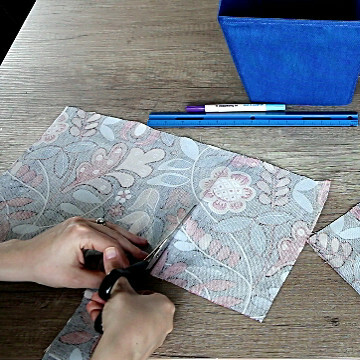 To get around this conundrum, cut a piece of fabric that covers the front of the boxes plus an extra inch on each side. 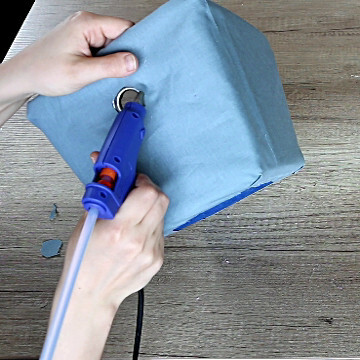 Apply hot glue on the edge of the fabric and glue it to the box. Finally, make a hole in the middle of the box and screw a vintage drawer knob for a cute and unique look. I used scissors to make the hole, but, after this experience, I think using a knife will be easier and safer in terms of preventing accidental cuts. The know will also make pulling the box out easier. 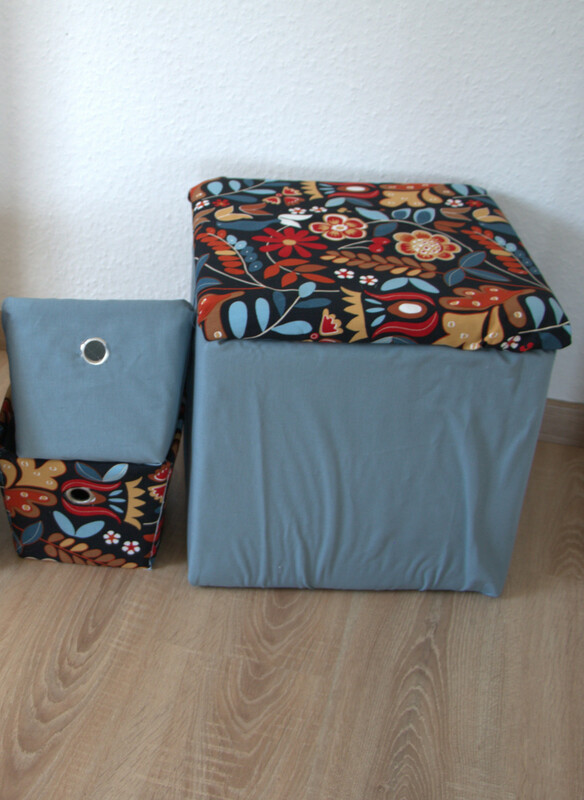 Ottomans are cheap and space efficient storage option. However, just like with the storage boxes, there are only so many colors you can get at the right price. My cheap ottoman survived three moves but was in a dire need of upholstering. To refresh it a bit, I measured its dimensions, added an inch for some extra overlap, cut the fabric, and glued it with hot glue. 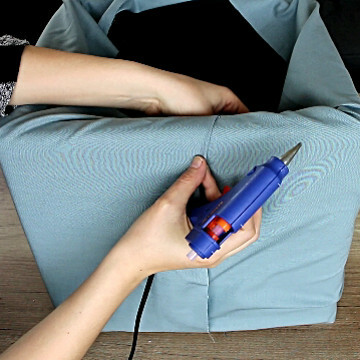 Make sure that you start by gluing the fabric on the side of the ottoman. 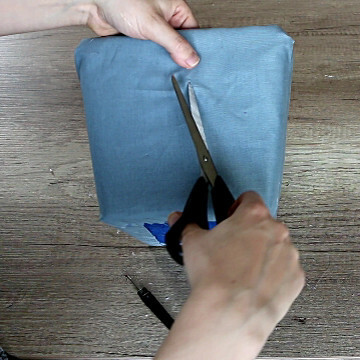 Fold the edges of the fabric before gluing it for a cleaner look. 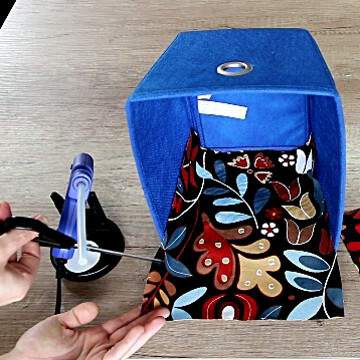 Then, glue the fabric on the bottom and the top of the ottoman. 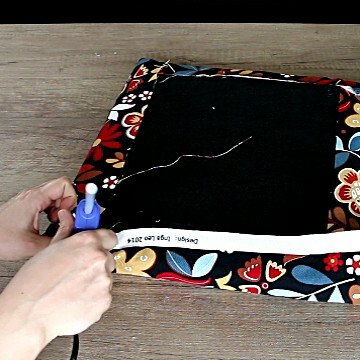 Wrap the lid with the fabric glue the fabric on the reverse side of the lid. 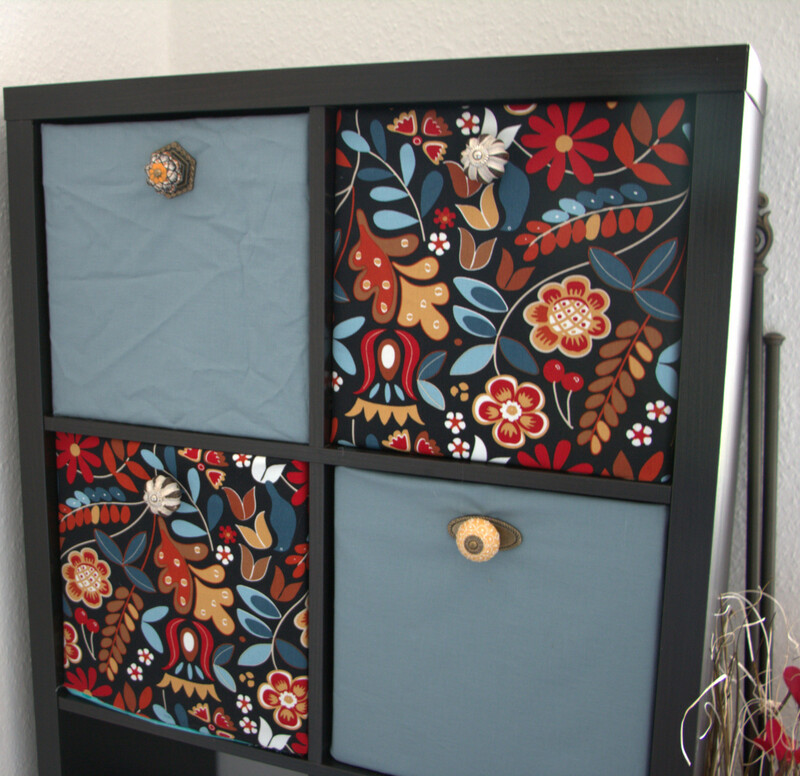 Below you can see the results of these storage DIY ideas. 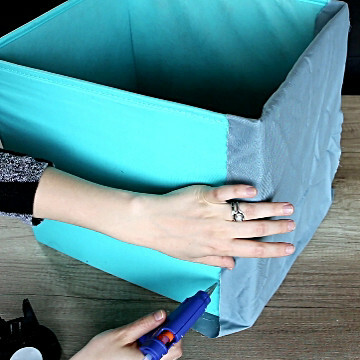 For more storage DIY ideas, heck out our plastic bags storage suggestion and this quick and easy trick for making a lid for a bin.